He wasn't merely anxious about using the phone; he was terrified. But he had good reason. During his wartime experience in the trenches, a shell had exploded just as he was dialling the telephone. Even years later, the famous WWI veteran and poet Robert Graves was frightened to use a phone. But eventually he did (1). Most causes of phone fear are less dramatic but can still make life much harder than it needs to be in our world of immediate international communication. Fear of speaking on the phone impairs your quality of life, as it stops you contacting loved ones, blocks work and business opportunities, causes anxiety, and can make you delay placing or picking up important calls. It can also make you feel embarrassed because, well, everyone else seems comfortable with it, right? Actually, fear of talking on the phone is pretty common. For many, even just the sound of an incoming call can make them feel terrified. Barring traumatic war experiences, why would anyone develop a fear of using the phone? Fear can start for any number of reasons from a particular incident. One woman told me how she had been asked to contact her work via a call, only to be told on the telephone she'd been fired. After this, she suddenly found it difficult to make any calls. Or free-floating general stress may be a cause. Nine times out of ten, if someone is bemused as to why they suddenly became anxious about something they'd normally do no problem, it's because they happened to be experiencing a stressful time generally and that stress happened to focus on one thing in particular. It's natural to want to avoid what we fear. But avoiding doing what we fear just builds the fear. This is a natural mechanism, as your emotional mind assumes that anything you consistently avoid must be dangerous to you (because you are avoiding it). And so the fear increases as your emotional brain tries to 'help' you. "Hi Sally, it's Mike. I'm sorry, I can only speak for a second. Are we still on for next Thursday? Great! I'll let the others know. Sorry, I have to dash. See you then!" Get into the habit of making one short call a day to someone with whom you feel comfortable and then gradually build in more conversation by asking a couple of questions. The more you talk, the more you can talk. Before you pick up the phone, smile - even though no one can see you. Sounds a bit nuts, doesn't it? We smile when we are relaxed and happy; but if we flip this, we can also produce feelings of happiness by making ourselves smile. A study (2) conducted back in the 1980s asked people to rate how funny they found Gary Larson's The Far Side cartoons. Bizarrely, one group was asked to hold a pencil between their teeth but not let it touch their lips (forcing them to smile, unbeknownst to them) and the other group held a pencil between their teeth with lips touching (forcing a frown). And, you guessed it, the 'smiling group' not only found the cartoons funnier at the time than the 'frowners', but the researchers found the increase in happiness didn't drain away when the smiling stopped; in fact, it continued for many hours. Other studies have found similar results (3). So smile before you dial - it will make you feel better. If every time you think about phoning you feel anxious, then you are reinforcing the connection between phoning and fear. This is like applying adhesive, then pressing tightly. To loosen and remove this 'glue', you need to begin to relax very deeply whilst thinking about phone calls. This quickly starts to dissolve the 'fear glue' and re-associate comfort and calm with dialling and speaking. Close your eyes and direct your attention to breathing comfortably, with slightly longer out-breaths. As each part of you rests and relaxes, just begin to picture yourself in your mind's eye looking relaxed, happy, and calm whilst speaking on the phone (or, if you prefer, imagine listening to yourself speaking confidently). This will quickly 'reprogram' your mind to feel comfortable with phoning. Pretty soon, talking on the phone can be something you find as natural as...smiling. 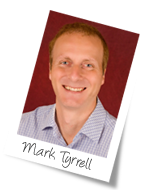 Click here to get our co-founder Mark Tyrrell's tips, tricks and techniques for beating fear and anxiety, gathered from over 15 years of treating anxiety conditions. If you'd like some extra help around Overcome a Fear of Talking on the Phone my company Uncommon Knowledge provides a huge library of hypnosis sessions through Hypnosis Downloads.com. I have helped create all the sessions there and have listed related downloads below. Please let me know in the comments section below how you get on. As described in Grave's excellent but harrowing autobiography, Goodbye to All That (1929). F. Strack, L.L. Martin, and S. Stepper (1988). 'Inhibiting and Facilitating Conditions of the Human Smile. A nonobstrusive test of the facial feedback hypothesis.' Journal of Personality and Social Psychology, 54, pgs 768-777. S. Schnall and J.D. Laird (2003). 'Keep Smiling: Enduring Effects of Facial Expression and Postures on Emotional Experience.' Cognition and Emotion, 17, pgs 787-97.